It's back! Nachos with Nils, with special guest Solomon For Treasurer. The event starts at 4:00pm, come anytime after. Bring your question, comments and ideas! Get an update about South Redondo and the City at large. Plenty of time to ask questions, field comments. Refreshments provided (of course, Nachos!). 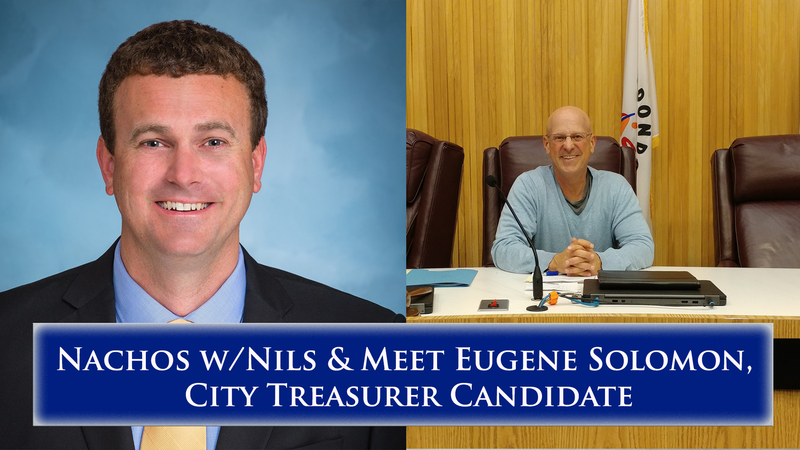 Learn why City Budget & Finance Commissioner is running for City Treasurer. Get important information about your mail-in ballot, so it counts! That's right, there's an election coming up!